The Cuisinart 12-piece Cutlery Set With Block is a sleek way to make dinner prepwork easy. This set contains everything that need for cutting, slicing, dicing, chopping, and carving. These premium knives comes with matching blade guards and ergonomic handles. 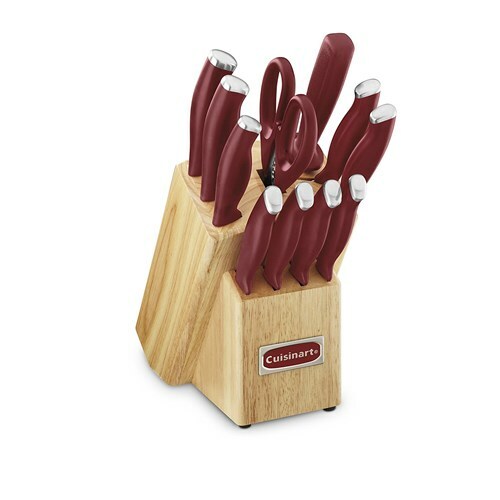 The Cuisinart 12 Piece Cutlery Set with Block has many exciting features for users of all types. 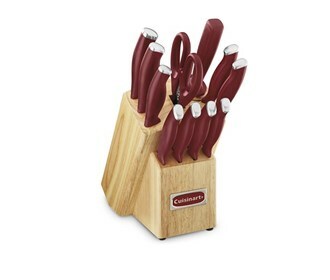 The Cuisinart 12 Piece Cutlery Set with Block is sold as a Brand New Unopened Item.